Earlier this year, Huawei launched SnapTo (G620) and P8 Max, the first was released to US while the later is yet to cross China border. 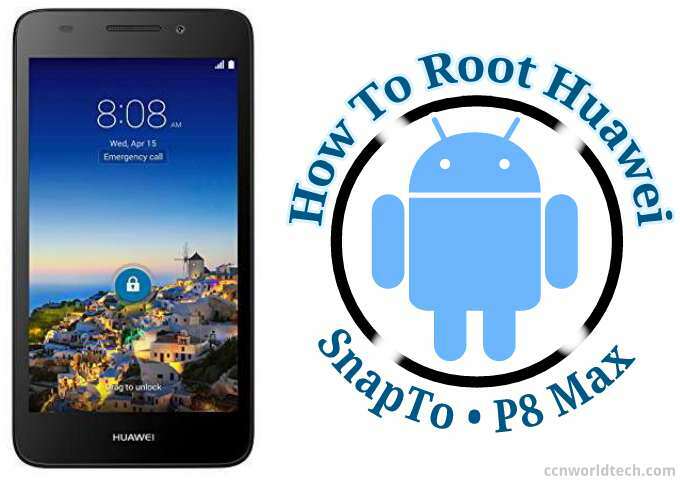 Today, we'll be teaching you how you can easily root Huawei SnapTo and P8 Max step-by-step without damaging your device. Before these smartphones can be root, you will first need to unlock their bootloader which we'll also cover in this post. By now, we believe almost all Android users (atleast 85%) are already familiar with the word ROOT, if you don't know what it is we suggest you read this. Now, to the main task. DISCLAIMER: We will not be held responsible for any mishap, loss of memory, errors that may occur during the process. Make sure you know about Android before applying these steps. Same method work for both device. As previously said, Huawei SnapTo and P8 Max bootloader needs to be unlock before we can dive deeper into their ecosystem to plant root seed. Here is the official way of doing it. Go to Huawei Developer page, you'll be asked to login. At the bottom, click "Register" to sign up. In the registration page, you'll be asked to select your country and insert your phone number. If your country is not on the list, simply select "Register Email Address" at the top of the page. Input your email address, password you want to use and verification code. Tick i agree and click Register. In the next page, confirm unlocking agreement by ticking "I have read and accept all terms above" then select next. Product Serial/IMEI Number -> dial *#06# on the device you want to root, write down the code that display and fill it inside both box. If your phone uses two SIM, copy the two IMEI that display and fill it inside each box starting with the first. Product ID -> dial *#*#1357946#*#* on your device, copy/write down the code that display and insert it inside the box. Enter the verification code and click Submit. First stage is now complete. A 16 digit passcode will be sent to the email you use to register. Copy or write down the code and keep it safe because that's the key we gonna use to unlock your phone. Now to the next part. Download and install the following drivers to your PC. On your PC, go to C:\Program Files\Minimal\ADB and Fastboot folder, right click an empty space inside it and select "Open Command" (make sure you've administrator privilege). Now we can proceed in rooting Huawei SnapTo and P8 Max. PC is not required. Enable "Unknown Applications" under Settings. Enable internet connection, download and install Kingroot apk file, launch the app and click the root button. The rooting process will start and should be completed within five minutes. That's all. If you experienced any problem, don't hesitate to tell us by droping your comment. Enjoy.